But first what are key-less door electronic door locks? Have you ever been locked out or forgot to lock your door? Do you leave your spare key beneath your foot mat, in the flower pot or under a fake rock? Do your visitors have to wait out, hanging around for you to come back? Do you wish you don’t have to carry keys? You don’t have to wish! You could just be smart and not carry keys. There are varieties of keyless electronic door locks that you can use …yeah keyless. And they work fantastically well, and are now quite affordable. Briefly, I am going to be reviewing the best keyless door locks, their features, their pros and cons and there’s a short video to help you visualized how they work. Keyless Electronic door locks are locks that do not require keys for its operations, though some of them have keys as an added option. Numeric keypads are present in some locks, pushing in the access code will unlock your door. Keypads now replaced with touch screen panel with security features to prevent unauthorised access. They function with an app on Android or Apple smartphones. They have a wireless communication with your phone through Wifi, Bluetooth or internet (z-wave). With your phone, you can use the virtual key function to create multiple virtual keys and assign them to who you want to grant access into your house. This enables you to track who entered your house and the time they did so. You can cancel the virtual key at any time you want or even make the key valid for a stipulated period of time. If you don’t want someone in your house, you don’t need to change the lock, just change the virtual key. You can also open the door for your guest or neighbour remotely from anywhere you are and lock it when they leave. Your keyless electronic door locks can be integrated with you home security system. So the command that arms the alarm at night and shut off the entire house light can also make sure your doors are locked and grant access only to the virtual keys you have stated. 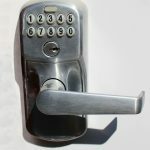 Besides the convenience offered by the best keyless door locks, they are also also safer than the traditional padlocks. The keyless door locks are harder to lock-pick than a regular mechanical door lock. Typically, their cases are much larger and stronger than old locks. And without keys on most versions, several methods of tricking a lock, such as Key Bumping, flat out do not work. There are several different types of electronic deadbolt door locks available in 2018 but our very best is the Schlage Camelot. A keypad door lock is a digital door lock with a keypad interface, allowing for easy entry into your home or office. Typically, most digital door locks have a keypad. One benefit of this is allowing for multiple people access. Keys get lost, and are often expensive to replace, especially from a locksmith. With a keypad door lock, you can program a code for anybody that needs one. Even temporary codes for service people and such. And the best part, no keys! While I am not a large fan of biometric door locks myself, I decided to review one anyway. A biometric door lock is basically a fingerprint door lock. This type of lock simplifies the entry process even more so than a keypad door lock. Just the swipe of a thumb, or even any other programmed finger, is all that’s needed to open the smart lock. A biometric door lock is one of the most futuristic looking deadbolt door locks, if you are into that sort of thing. The reason I don’t like them, is that the fingerprint readers can often times wear out. But, as with every bit of technology, they are improving and getting to become very reliable. The Schlage Camelot Keypad Deadbolt is a small, sturdy, and versatile deadbolt. Installation is a breeze, requiring just a small amount of time and a couple household tools. 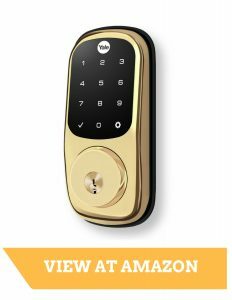 Designed for convenience, the keys on the Schlage Camelot keypad deadbolt light up at the push of a button, and if the batteries die (after a 3 year estimated lifespan), the key still works. Hands full and getting in your pocket would be too much of a hassle? Lose your keys and need to get inside? Worry not, the keypad on the Schlage Camelot allows you to enter with just the input of a 4 digit combination. Have a large family? Just give each family member their own code. No need to go to the hardware store and pay for new key copies. Have people that are working on your home, say a maid or plumber? You can program temporary codes to allow them access only when you need them. Installation of the Schlage keypad lock is a breeze. You will only need a little bit of time, around a half hour, and a Phillips head screwdriver. Very, very rarely will you need to modify anything. Just line up the bolt with strike plate in the pre-existing holes in your door, attach one wire from the front to the back with the battery, and screw everything in. And Restore All Factory Settings. Entry and exit is a breeze. Too enter without a key, simply enter your code, and twist the knob. To lock, shut the door and twist the knob. On the inside, all you have is a simply lever to lock / unlock. The schlage keypad lock is ANSI Grade 2 certified. 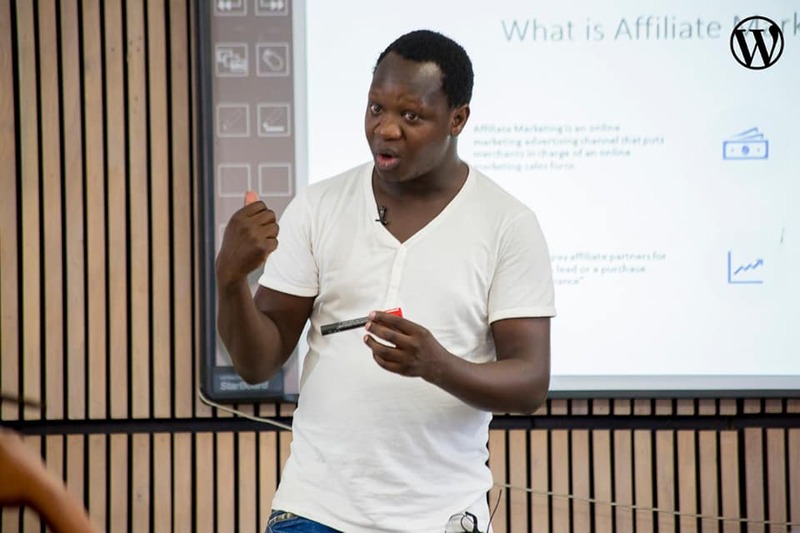 Which means it has met standards put in place to ensure quality and effectiveness. ANSI Grade 2 is given to a product which meets heavy residential, and moderate commercial use standards. The heavy-duty, all metal casing provides a very high level of abuse and tamper resistance. This is an electronic deadbolt that will leave you feeling safe, and not having to worry about wear and tear or intruders. The Schlage Deadbolt Keypad door lock does exactly as it says. It keeps your home safe, while providing an added level of convenience and luxury. On Amazon.com, it receives 4.5 out of 5 stars, with 121 customer reviews. While most of them are very positive, it should be noted that there are a few nit picking reviews. While this could be a valid concern, it is more a “sky is falling” complaint, and the reviewer still gave the lock 3 out of 5 stars. Another reviewer said “I received deadbolt with a huge dent.” Of course, this is the only instance of this type of complaint I could find, and with Schlage’s Warranty program, the lock could returned for another. I wish I’d purchased this 1st. We have been using this lock for over a month now & LOVE it! I purchased the Schlage electronic deadbolt to allow entry into our house in case I didn’t have a key with me. It works very well. As a final word, I strongly recommend the Schlage Camelot Keypad Deadbolt for anybody. The added convenience of the keypad, the ease of use, and the high quality build will reward with years and years of great use. Do you want an electronic deadbolt lock with all the features of the top models, and a price anybody can afford? Look no further than the Kwikset Smartcode Deadbolt! This electronic door lock is a perfect fit for anybody that wants the ease and convenience of keyless entry without spending a large amount of money. For a third of the price of some of the other electronic deadbolt door locks, it comes packed with all the features you would ever need. This digital dead bolt is very simple to use. It only requires a few pushes of the buttons to unlock your door. Great for times when keys are a hassle. A simple push of the lock button engages the deadbolt, and you are set to leave your home locked and feeling safe. Of course, the Kwikset SmartCode deadbolt also has a traditional key feature. With a slight twist: the Kwikset Smartkey feature. This is a more advanced keylock mechanism that is very resistant to key bumping. It also allows for easy re-keying with an easy-to-use re-key tool. In fact, the lock can be re-keyed in under a minute. All you need is the tool, the old key, and a new key. For added convenience at night, the digital buttons on the lock light up when pressed, making it much easier to see what you are doing. Not that that is really an issue. After using it for awhile, you will hit all the right buttons ( 🙂 ) without thinking about it. This electronic deadbolt door lock also has some neat customization features. You can enable or disable an LED light that blinks green or red, depending on the right or wrong code entered. You can make the lock beep when the buttons are pressed. And there is an auto-locking feature. 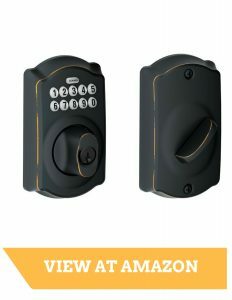 This is great for even more convenience, allowing you to leave your home, and never worry about whether or not you locked the door. Installing this electronic deadbolt is also a breeze. With just a simple screwdriver, you can install the lock yourself in under 20 minutes. No wiring. No cutting. No drilling, and no stuff that demands for the YellowPages guys. Anyone can install this lock. But don’t think that that means the lock is not secure; tampering with the lock from the outside is very difficult. The iTouchless Bio-Matic Fingerprint Door Lock is a perfect addition to your home. With just the press of a thumb or other finger, you can have instant access to your home, without fiddling with clunky keys. And with the Auto-lock feature, you’ll never worry about forgetting to lock the door again. This electronic deadbolt door lock also comes with 2 metal back-up keys to ensure you will always have access to your home. No matter how large your family, you can guarantee that each of them have access. Have workers coming to the home? Supply them with a temporary PIN. Worried about a fingerprint not working? Program all of your fingers into the lock. With up to 150 fingerprint records, and 78 PIN codes, you can be assured that everybody that needs access to your home will have it. This biometric door lock is made of corrosion resistant high quality steel. A steel sliding cover encompasses the optical sensor, protecting it from the environment. 4 AA batteries provide power, and the unit also has an audible alert when the batteries are running low. Each set of batteries should last for approximately 15,000 entries. This very high tech looking deadbolt door lock can be used for the home, and for the office. Besides looking very modern, the Samsung SHS-3120 it is also very low profile, with no protruding keyhole. And since it uses RF Keys instead of traditional tumbler keys, it is immune from key bumping! The Samsung SHS-3120 is an electronic door lock that provides an increased level of home protection. Electronic door locks offer more security than traditional key locks, and also have many more features. The convenience of keyless entry for home and digital keys that protect the lock from key bumping are just a couple of the many you will find with the Samsung SHS-3120. Another really neat feature is the Auto-Locking mechanism. If the option is turned on, every time you shut the door, after a short amount of time the deadbolt will engage. This takes away the worry of whether or not you locked you home when you left, allowing you to feel safer and more relaxed. The most convenient feature of the Samsung SHS-3120 is the keypad. This keypad door lock allows for keyless entry when you want to enter your own home. The easy to read buttons light up when one is pressed, adding even more convenience for operating the unit at night. 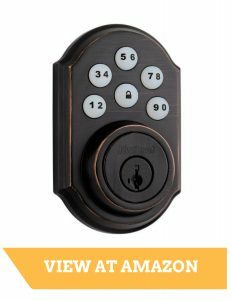 With up to 12 easily programmable security codes, everyone in your household is sure to have their own way in. For even more security, this keypad door lock has a random code feature, which lights up a random button for you to press after you enter you code, preventing prying eyes from seeing your code. This is a wonderful addition to any home, with an abundance of features to ensure easy use, and higher home security. 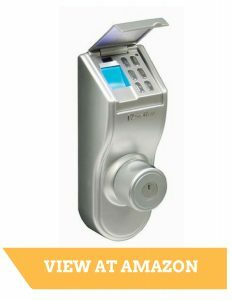 If those appeal to you, then this is definitely an electronic deadbolt door lock for you. It has 4.3 out of 5 stars on Amazon.com. 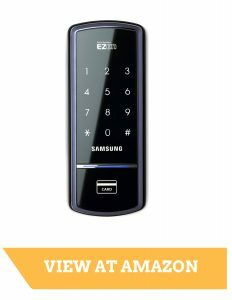 In summary, the Samsung SHS-3120 is a lock that offers many convenient features, while also offering a high amount of home security. Well made, easy to use, and easy to install, the majority of buyers of this product are very happy with it, and would recommend it to anybody looking for a new deadbolt door lock. One of the best electronic door locks I have seen is the Sunnect AP501. Packed with features, and built like a tank, this digital Sunnect AP501 door lock provides the security every home needs, and also the convenience and ease of use to make getting into your home that much easier. Whether it is the keyless entry for home, or the auto-locking feature, or one of the many others, I am sure the Sunnect AP501 fits your needs. One of the joys of having a new car is the keyless entry system. It’s very easy and convenient to just push a button and unlock the doors, getting in without fiddling with the keys or the lock. Wouldn’t that be great for you home too? Instead of a button on a key-chain, though, you have a keypad on the deadbolt door lock itself. Just enter in a key code that you program yourself, and your door unlocks, without the need to find the right key, and line it up right with the keyhole. One of the benefits of the keypad lock are the large amount of codes you can program. With around 70 slots for codes, and 20 “digital” keys, you can guarantee access for everybody that needs to enter you home. And I must mention the Auto-Locking feature. After the door has been shut for 3 seconds, the electronic deadbolt automatically engages. This means you never have to worry about locking your door again! The Sunnect AP501 is built with security in mind. The control board and other important mechanisms are on the inside of the door, preventing tampering from the outside. The metals used in the lock are of high quality and strength. In fact, one test put the Sunnect AP501 up against a .22 caliber and .40 caliber handgun, fired directly on the keypad and digital key tag reader areas. Amazingly, the lock still functioned, continuing to provide the safety and security after extreme abuse. The Sunnect AP501 could possibly be on the of the best products you get for you home; increasing safety and security, while also adding more convenience. On Amazon.com, it attains 4.5 out of 5 stars, with 63 customer reviews. While many of the user the reviews are generally positive, there are a couple nit-picking comments, such as “Too many issues”, where the owner raises some concerns about the lock, but also goes on to say he is overall pleased with it. Another nit-picking review is “Bad Sensor: Your problem”, where the owner complains about a bad sensor, but doesn’t say what sensor or what the problem actually caused. Both of these situations seem isolated, and there are no other mentions of these in any other reviews. In summary, the Sunnect Ap501 is a digital deadbolt door lock, that comes packed with features of convenience and home safety. I would highly recommend this lock to anybody that is interested in replacing their old deadbolts, or to anybody that wants to replace their current electronic door lock with something better. Overall, the Sunnect AP501 will provide you with increased home safety and security, increase ease of use and convenience, and most importantly, peace of mind. Installing an elecronic deadbolt door lock is often viewed as a difficult task. Many homeowners decide to use a carpenter or locksmith to attach the new electronic door lock that they just bought. While there is nothing wrong with this, in actuality the average Joe can do this job himself. Handiwork is very easy, and with a little bit of knowledge, a small set of common tools, and a little bit of time, you can install a deadbolt yourself. The first thing you want to do to install an electronic door lock is to take a look at your door. Is there a preexisting hole? If not, no problem. Most deadbolt door locks come with a template that shows you where to drill and screw. Start by figuring out where you want the lock to go. Keep in mind, some digital door locks have handles that are a little bit below the lock itself; if so figure out where you want the handle, and line the lock hole up accordingly. When attaching the template to the door, use a combo square if you can. This is to ensure proper alignment. Also use tape that won’t tear paint off a door. After you have chosen the location and taped the template to the door, it is time to start drilling the hole for the locking mechanism. You will need a hole saw, which is a large drill bit with saw teeth on the edge of a cylinder, that attaches to pretty much every common drill. Use a hole saw that matches the size of the hole on the template. Start drilling slowly, applying even and firm pressure to prevent it from moving. After you have drilled through to the other side, it is time to drill the hole for the bolt. Using a spade bit, drill the hole for the bolt where the template shows. It should line up with the hole you drilled for the mechanism. Check you template, as some electronic locks require a bolt hole to be extended on the far side of the mechanism hole. Always stop when the pilot bit comes out the other side of the door, then pull the drill out and finish drilling from the other side; this will prevent the drill from cracking the wood. After drilling the holes, look on the template for the screw-holes, and drill pilot holes in each spot with a twist bit that is smaller then the screws themselves. Now that the holes are drilled on the door, it is time to install the latch plate. Line the bolt hole up with the latch plate, trace the edge onto the door with a pencil or utility knife. Chisel out this area so that the latch plate sits flush on the door. Note, you will have to insert the bolt before you screw in the latch plate. Start by using light taps of the hammer onto the chisel handle, to ensure you don’t go too deep. Now attach the latch plate onto the door by screwing it into the holes you already should have drilled pilots for. The next step is to install the strike plate. The strike plate usually has 3 pieces, a strike frame reinforcer, a box for the bolt, and the strike plate itself. Lining up the bolt correctly with the hole you need to drill for the strike plate is very important. After you have done this, mark with a pencil where the screws will go for the reinforcer plate. Next, mark where the screws will go for the strike plate; the screws for the strike plate usually also screw into the bolt box. Now, using a spade drill bit large enough for the bolt box, drill a hole deep enough to ensure it goes in, with about a 1/4 inch extra. The next step is to trace the outline of the reinforcer or strike plate, and chisel a hole onto the frame to insert the 3 pieces, ensuring that they fit flush. After this, screw in the reinforcer plate, then screw in the bolt box and the strike plate. Now it is time to attach the lock mechanism itself. This part is rather simple. Many electronic door locks have wires to connect the front of the lock to the back. Feed the wires from the front through the hole, and connect. Attach the axle that activates the bolt. Now, holding the front piece up, attach the rear piece, and screw them both together, making sure the screws are in tight. This should be it. One final thing to do, is to check the door over. Make sure the bolt on the door lines up with the frame. Make sure the lock works before while the door is open; the last thing you want is to lock the door while it is shut, and then find out it doesn’t unlock. When everything is good and works properly, it is time to start enjoying your new electronic deadbolt door lock. I am agreed with you. I also think that after fix up electronic deadbolt lock we should to check it out like Make sure the bolt on the door lines up with the frame. Make sure the lock works before while the door is open; the last thing you want is to lock the door while it is shut, and then find out it doesn’t unlock. When everything is good and works properly, it is time to start enjoying your new electronic deadbolt door lock. From this article we know many think about it and hope so it will helping us for using. Thanks for the sharing such a helpful article.